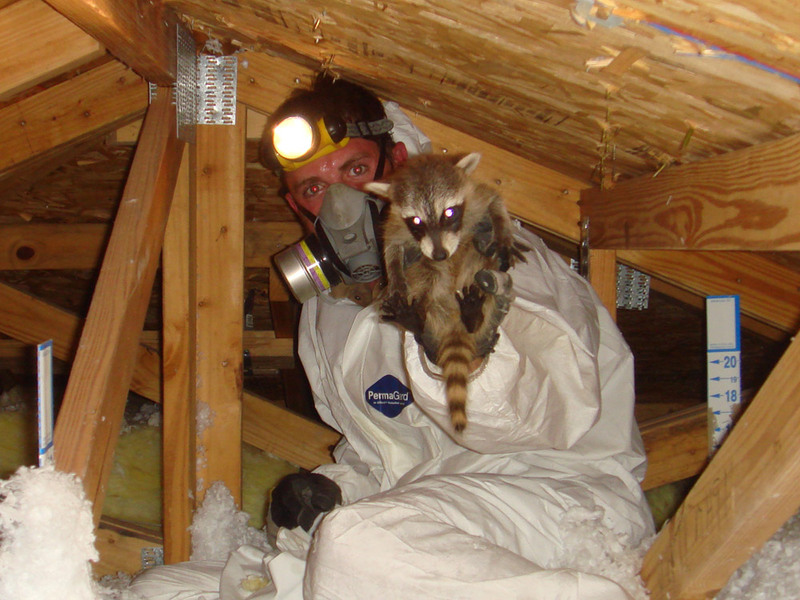 ﻿ Raccoon Photograph - Removing little raccoons inside an attic. Removing little raccoons inside an attic. Go back to the main raccoon photographs page or the raccoon removal page.